Rural architecture, glass-makers, landscapes.. This round walk is a delight for the eyes because it marries the beauty of rural architecture to that of the landscapes, whilst taking you to see the visible traces of the Cère glass makers. 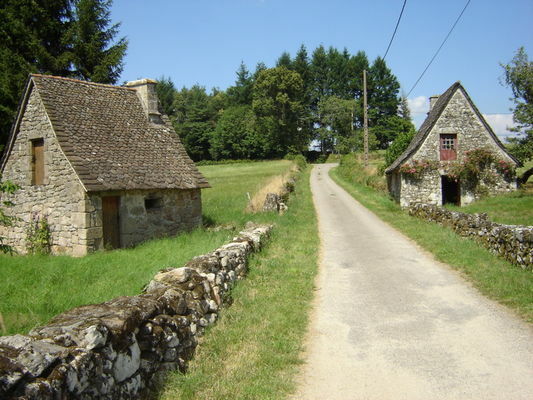 The itinerary takes you through the landscapes of the Ségala, leading to the uplands of the Cantal, land of rye and chestnuts. 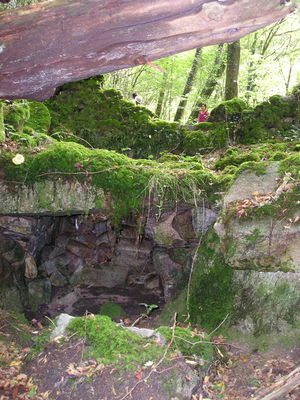 The river Cère and its tributaries have carved out deep, wild, forested gorges, the ideal place for glass makers to set up their ovens, which functioned until the 19th C. Now in ruins and covered with moss, you can still see a few abandoned ovens in the depths of the gorges.